Slated to drop early next year. After Nike revealed a new look at the silhouette last month, a closer look at the Air Max 720 has now emerged. Coming in a purple colorway, the sneaker features the silhouette’s airbag “ring” around the whole foot and the tallest-ever air unit, which Nike has previously announced will be 70% produced from recycled manufactured waste. 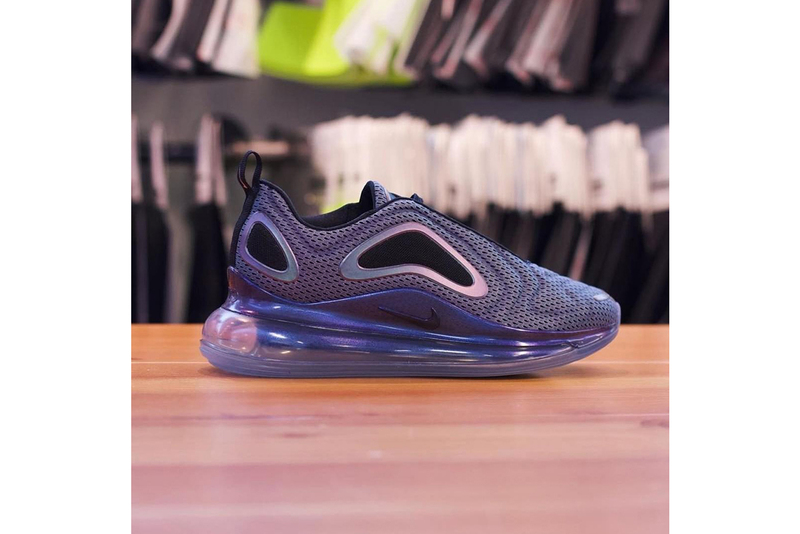 Other feature of the silhouette include metallic accents on each side and around the heel tab as well as Air Max 720 branding on the heel and tongue. Take an up-close look at the new silhouette in the gallery above, and expect the Air Max 720 to hit the Nike web store and select stockists in Spring 2019. As well as this colorway, the Air Max 720 could also be releasing in the classic “Silver Bullet” colorway. atmos Teams up With adidas SPEEDFACTORY for a Special "AM4108"
Due to a specific design detail. A South-London spin inspired by school uniforms. Offered in “Volt” and black.